It can be so difficult to find the information that we need to support dyslexic learners. In this article you will find some great ideas for boosting your knowledge of dyslexia and other Special Educational Needs. I count myself lucky! As someone who is a father of a dyslexic daughter, at the time when my daughter was diagnosed with dyslexia, I was working for a company that develops technology that helps children with dyslexia. 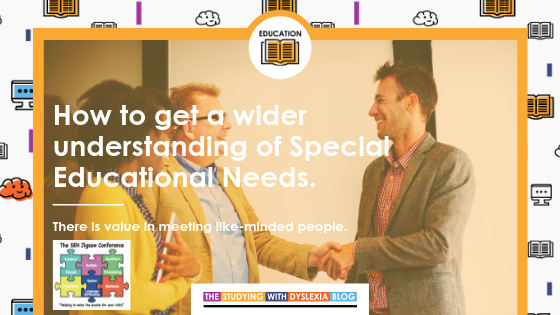 I was aware of resources and organisations that could help and more importantly I could rely on contacts that I had made in the process of visiting various conferences focused on Special Educational Needs and in particularly dyslexia. Yesterday, my daughter turned 20 and is doing well in her second year of university education. She is confident, knows how and when to ask for help and is pleased with her progress. She has done most of the work to get to where she needs to be, but I am pleased that I could utilise some of the resources that I knew about that helped her to get to where she is now. Learning with peers is important. I can’t stress enough how important face to face learning is. I know that online content is useful (hence why I have put this blog together to provide useful content) but it is so important to meet with other people who are having similar experiences in supporting a child whether they are parents, teachers, SENCO’s and anyone else who cares about helping dyslexic children to learn. This is why I share events that also inform and inspire the supporters of dyslexic learners and I invite anyone who has an event coming up to let me know about it. Click here to find out more about the SEN Jigsaw Conference. It is also why I am co-organising the SEN Jigsaw Conference that is taking place in Stoke-on-Trent on June 6th with dyslexia specialist, Georgina Smith. We aim to bring together specialist speakers and workshop leaders to inform and inspire supporters of children with Special Educational Needs. What a lot of people do not realise is how similar the challenges are with each type of condition such as dyslexia, dyspraxia, ADHD, autism spectrum disorder and so on. It is by having a wider understanding of SEN, do we as parents, teachers and specialist teachers find that we support at a much higher level by learning together and with each other. 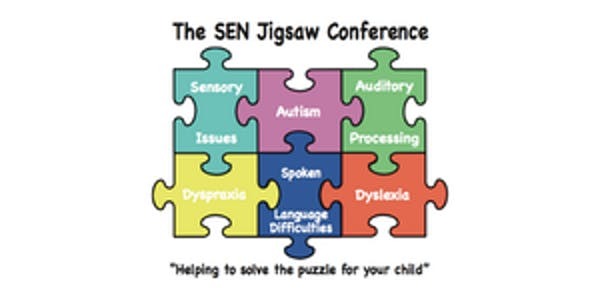 I would like to invite you to the SEN Jigsaw Conference so that we can learn from your experiences and likewise help you by providing the much needed information that we all need. Why don’t you click the button below to find out more?